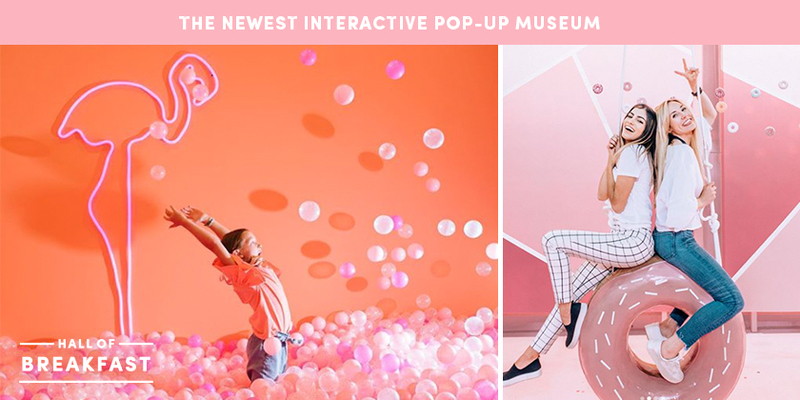 Hall of Breakfast is an interactive, Instagram-friendly pop-up art museum. Guests are invited to experience ten different breakfast-themed spaces, handmade by a group of artists and designers. Bask in the light of an egg yolk sunrise. Slide down a bacon slide. Snap a pic with a pineapple flamingo as you lounge in a giant neon fruit bowl. For every ticket purchased, Hall of Breakfast will make a 3 meal donation to the Utah Food Bank. Hall of Breakfast at The Gateway 12 S. 400 W.